Wet Hot American Summer: First Day of Camp is the prequel series to David Wain and Michael Showalter's 2001 comedy Wet Hot American Summer. Though the original film was poorly received by critics and a flop at the box office, it gained a diehard cult following. As a result, Netflix stepped in last year and began developing a prequel TV series with Wain and Showalter back on board. 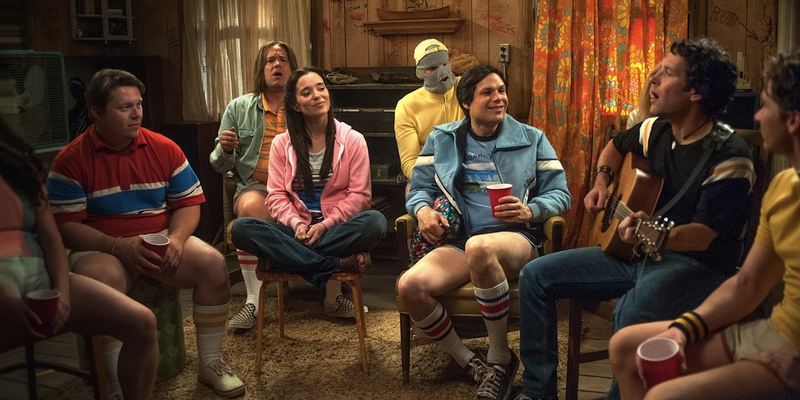 Leading up to the show's premiere at the end of July, Showalter revealed that they would be bringing back the main cast from Wet Hot American Summer for First Day of Camp and telling new stories with the fans' favorite characters. Though Camp Firewood's most beloved counselors would be back for the prequel series, First Day of Camp also introduced multiple original characters played by various guest stars. The premiere episode of Wet Hot American Summer: First Day of Camp featured a return to form for many of Camp Firewood's staff, as the actors effortlessly slipped back into their roles from the 2001 comedy. However, 'Campers Arrive' largely suffered from the task of introducing viewers to the (rather large) cast and setting up only a fraction of the season's story arcs. Similarly, the finale of First Day of Camp, 'Day is Done,' is tasked with wrapping up all the character stories and conflicts that were established throughout the previous seven episodes of the series' first season. Beth (Janeane Garofalo) must save the camp from Xenstar and the United States government, who are planning to wage war with Camp Firewood. Additionally, Andy (Paul Rudd) finally faces off with Katie's (Marguerite Moreau) ex-boyfriend Blake (Josh Charles) and the entirety of Camp Tigerclaw. The conflict between Blake and Andy hits a boiling point, prompting a camp-wide brawl between Firewood and Tigerclaw counselors using anything on hand - oyster forks, badminton racquets, paint brushes, nunchucks and other typical camp supplies. The fight leans more toward the ridiculous, with only brief moments of actual violence (an oyster fork can do some real, albeit minor, damage), providing a few laughs. The reclusive Camp Firewood musician Eric (Chris Pine) ends the fight with his proto-punk power ballad "Higher and Higher". Camp Tigerclaw and Camp Firewood counselors join hands and sing along to the song, reminiscent of '80s power ballads and filled with hilariously half-baked imagery. Fans of Wet Hot American Summer may recognize the song as the one played during Coop (Showalter) and Gene's (Chris Meloni) dance montage from the film: "Higher and Higher", as was specially written as an anthem for the flick by Craig Wedren and Theodore Shapiro. As for Xenstar and U.S. President Reagan's (also played by Showalter) plot against Camp Firewood, they send The Falcon (Jon Hamm) to capture Mitch as the can of mixed veggies (H. Jon Benjamin). However, The Falcon must go through Gene first, and the ensuing knife/all-kitchen-appliances fight is a highlight of the episode. Like the Firewood vs. Tigerclaw brawl, Gene and The Falcon's fight toes the line between violent and ridiculous, but since Meloni and Hamm are the only focus they have more opportunity to play with the comedy of the scene. This fight is more successful and funnier as a result. The rest of the finale storylines are resolved in a quick fashion: Gene saves Mitch by switching him out for a different can of veggies, it turns out The Falcon was a good guy the whole time and Lindsay (Elizabeth Banks) prevents Reagan from destroying Camp Firewood through the power of the press. Wet Hot American Summer: First Day of Camp wraps up by depicting the morning of the second day of camp. Coop summarizes most of the events of the first day for his camper Kevin (David Bloom) and Mitch officially bequeaths the job of Camp Director to Beth. The last few scenes of the finale seemingly set up the events of Wet Hot American Summer, with all the pieces falling into place. Characters and relationships have been established as they first appeared in the film, with other new characters like Donna (Lake Bell) and Yaron (David Wain) leaving since they were not included in the movie. While some prequels may suffer from forcing storylines or character arcs so as to maintain the continuity of the franchise, First Day of Camp succeeds in blending new aspects into those established by the film. Of course, the show is helped along by not taking itself too seriously, which allows fans to overlook First Day of Camp's blatant moves to eliminate characters that didn't appear in Wet Hot American Summer. Still, though the show largely wraps up all its established story arcs, First Day of Camp ends on a bit of a cliffhanger by depicting a resurrected Eric hitchhiking to New York City a week after the events of the first day of camp. While Wain and Showalter have said they're open to a second season of Wet Hot American Summer: First Day of Camp, this cliffhanger seems to be the only indication in the story toward that possibility. Besides, they'd have to change the name of the series if they continued.